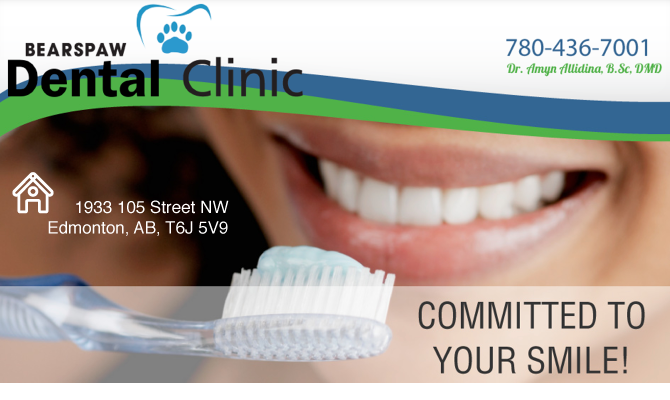 Trust Bearspaw Dental Clinic in Edmonton for patient-focused dental care! Our clinic offers a broad range of general dentistry services as well as esthetic services to ensure your smile is as bright and healthy as possible. Bearspaw Dental Clinic has established a reputation for individualized dental treatments designed with your specific oral health concerns in mind. Our staff, headed by Dr. Amyn Allidina, strives to give you the finest dental experience possible and seeks to build a relationship of trust by thoroughly explaining every step of our dental care process.